Some things just warm my heart, and this one thing in particular tops my teacher-list for sure. My AP Spanish Literature kids did it last year without prompting, and already this year, another group has joined their ranks. I love to begin reading a work by circling up my students and reading it together, popcorn style. We stop every few sentences or paragraphs and I point out important details to model the thinking I want them to do for the piece. We discuss imagery, authors’s purpose, context, and we draw conclusions. This may last for a few paragraphs or a few pages. Eventually though, I knowwe will never finish the work if we keep on that way, so I ask the kids to continue independently. In the case of my class yesterday, we spent the whole class that way, and today, I planned to have them continue the reading independently, to prepare for an essay on Friday. While they were to do that, I planned to come around and hold mini writer’s workshops with each student. 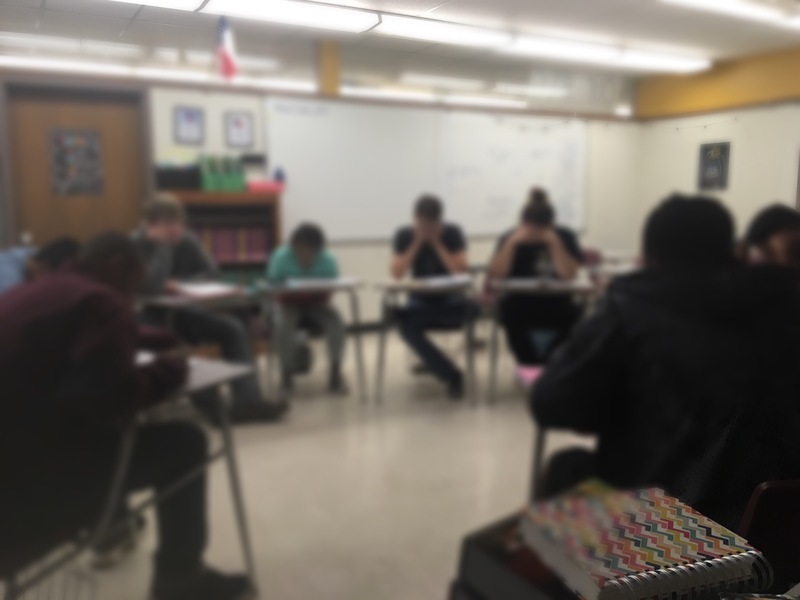 While I was at my desk taking attendance and getting their work in order to come around and conference… The class took matters into their own hands. Some teachers would be angry. This is my class. My decision. Some would be upset. What about my writer’s workshops? Others, like me, would pull up a stool and join in. Nothing warms my heart more than students who know what they want and need. That is more valuable than any lesson plan. Notice: No kids on phones. No one disengaged. 100% student choice. That is the ideal.